Is the Intelligender Gender Prediction Test Accurate? Are all pregnancy tests created the same? Can I really receive accurate results at home? How soon can I take a pregnancy test? 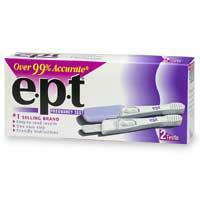 Does a more expensive pregnancy test provide better results? These are some of the questions asked by women every day. LoveToKnow Pregnancy has collected information about many of the leading brands and has strive towards explaining how, when, and why home pregnancy tests can offer such a high degree of accuracy when it comes to determining your pregnancy status, all within the privacy of your own home. A positive home pregnancy test result can mean a lot of different things to a lot of people. A pregnant teenager may look on it in horror, wondering what to do next, while someone trying to conceive may see it as a dream come true. Whatever your viewpoint when taking a pregnancy test, you want some assurance that the home pregnancy test results are accurate. Following the pregnancy test exactly and realizing that even with the best home pregnancy test, there is room for error; you can increase your chance of not being taken by surprise. It is always a good idea to follow a positive test result up with a visit to your doctor or gynecologist. If your missed period does not start within three days of receiving a negative test result, take another home pregnancy test or consult with your physician. Medication, emotional and physical stress, and other medical problems may lead to you experiencing pregnancy-like symptoms, including missing your period.